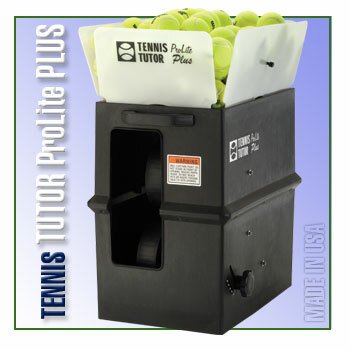 Tennis Tutor ProLite Plus w/Oscillator | Sports Tutor Inc. The ProLite Plus makes hitting against topspin as easy as pushing a button. Just push the TOPSPIN button to 'ON' and ProLite Plus automatically adds a medium amount of topspin to all shots. This model iincludes oscillator. © 2019 - Sports Tutor Inc.. All rights reserved.